Approximately 2,000 scorpion species have been described, but most arachnologists believe that many more await discovery. Few, however, expected an unknown species to turn up within sight of a major city in the USA. But that is what happened earlier this year, and the discovery was unusual for other reasons as well. Another noteworthy new scorpion species surfaced in the Ecuadorean Andes, a little-studied region long suspected of being a diversity hotspot for scorpions. New Arachnids of all kinds are regularly discovered…please post our own news items and thoughts at the end of this article. One never knows where new invertebrates will appear. In 2000, a new centipede was found in NYC’s Central Park, of all places. Still, the discovery of a sizable scorpion now known as Vaejovis brysoni was surprising on several levels. The scorpion was discovered accidentally, in an area of the Santa Catalina Mountains that had been well-studied (6 new species have been found there since 2006), and within sight of Arizona’s capitol city of Tuscan (please see photo). Also very surprising is the fact that the new scorpion’s habitat is considered by biologists to be a “sky island”. Sky islands are mountain tops that have become isolated from nearby mountains that contain similar habitats and species. The valleys between the mountain tops prevent scorpions and other animals from breeding with one another. Over time, these isolated populations evolve into distinct species. Oddly, another scorpion of the same genus is already resident on V. brysoni’s “sky island”. 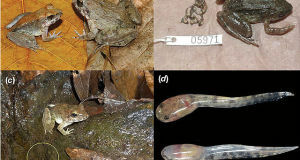 This is the first time that closely related animals have been found on the same mountain in this region. Learning how 2 similar species survive in close proximity to one another should provide interesting insights into scorpion evolution. 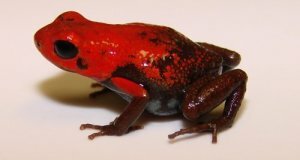 Arizona’s new scorpion is classified in the family Vaejovidae, which contains 180 species; several occasionally appear in the pet trade. Its members range from southwestern Canada through the USA to Guatemala, and may be found in habitats as varied as caves, deserts and mountainsides. Their venom has not been well-studied. Ecuador’s New Scorpion: Deadly, Medically Useful – or Both? 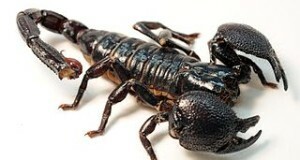 A new scorpion described in the journal Zookeys (June, 2013) is of special interest because several of its relatives produce venom that have caused human fatalities and/or may be of medicinal value. Tityus crassicauda, uniquely marked with bands of yellow and brown, has been assigned to the family Buthidae, the scorpion world’s largest. Among its 991 species we find at least 20 that are capable of producing toxins fatal to people (i.e. genera Centruroides, Androctonus, Tityus). Representatives of the family Buthidae are absent only from Antarctica and New Zealand, and they may be found in a wide array of habitats. Tityus crassicauda was first collected in an area Ecuador’s Andes Mountains that is of great interest to biologists. Although not well-surveyed, all indications are that it holds a great many new scorpions and other undiscovered creatures. I’ve worked with scorpions throughout my zoo career, and have kept a number in my personal collection. I’ve made many fascinating observations in the process, as have friends and co-workers. 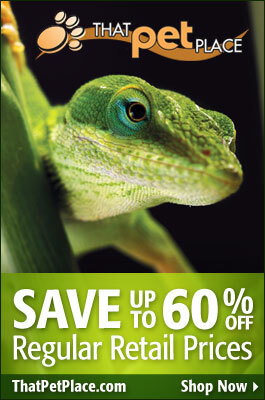 We still have a great deal to learn, even about the most commonly kept species. Please see the articles linked below for husbandry information, and be sure to post your own observations and comments. Unfortunately, the trade in scorpions is not well-regulated, and species identification can be tricky even for experts. I still recall receiving a Fat tailed Scorpion (Androctonus aeneus), a potentially deadly species, through the mail – no questions asked – when I was gathering specimens for an exhibit at the Bronx Zoo (I had ordered another species). Extreme care is needed when you embark on scorpion keeping…please see the articles below for details.